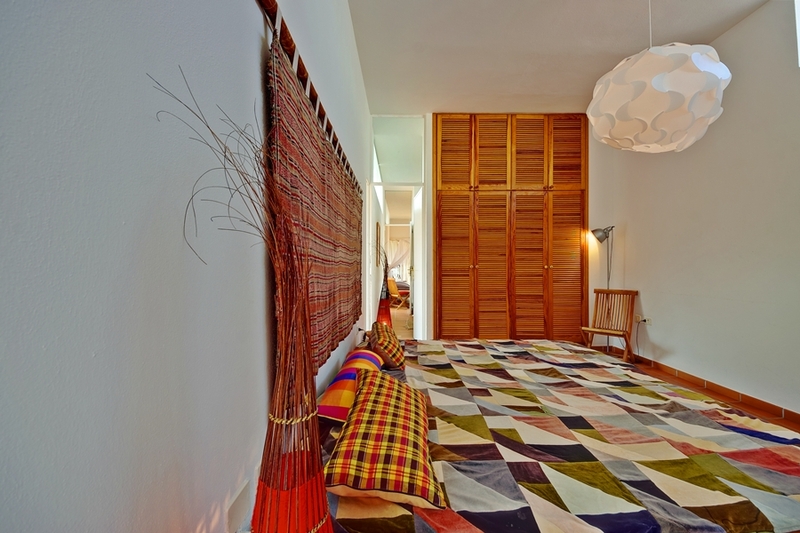 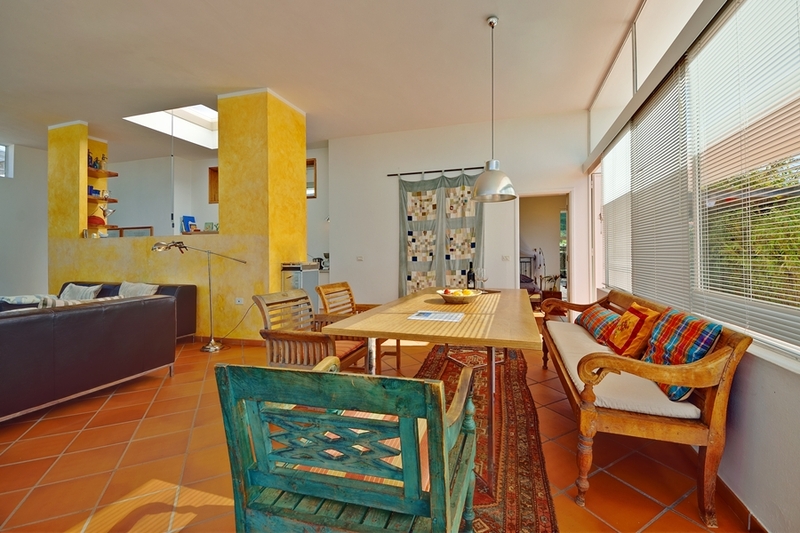 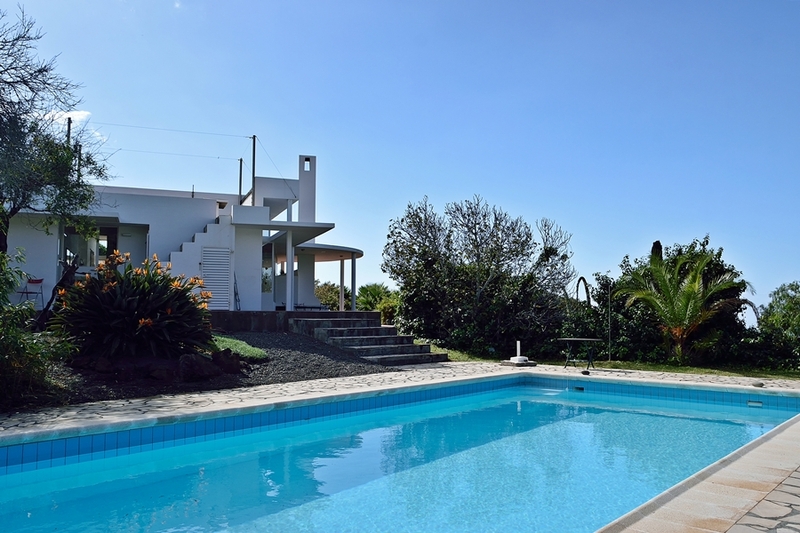 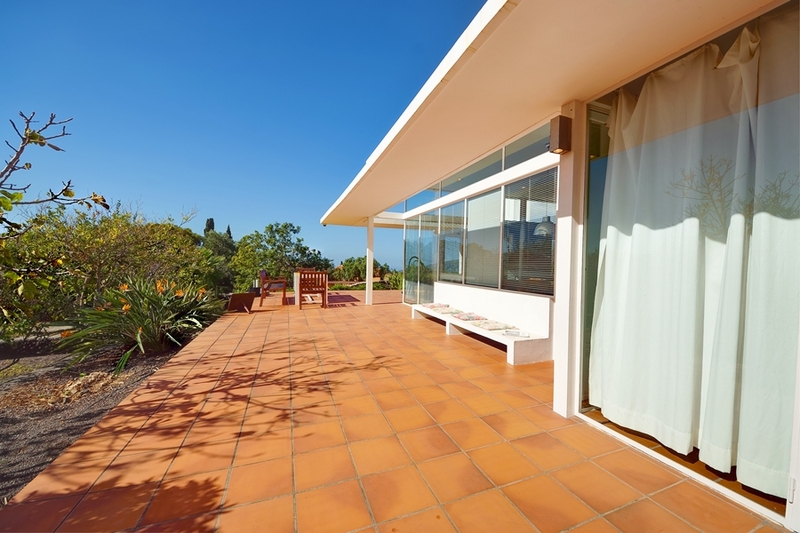 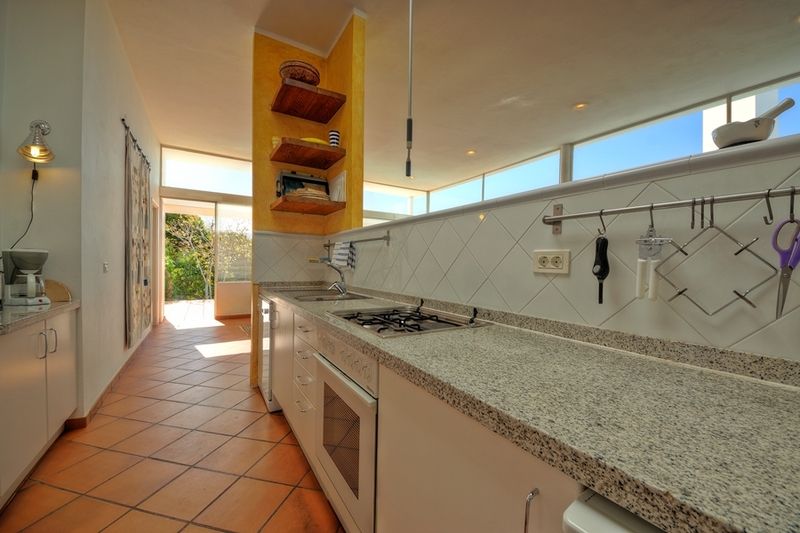 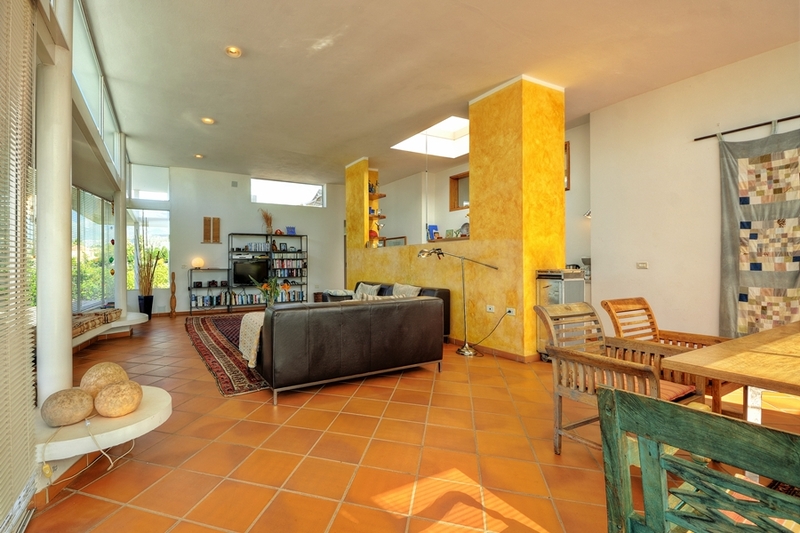 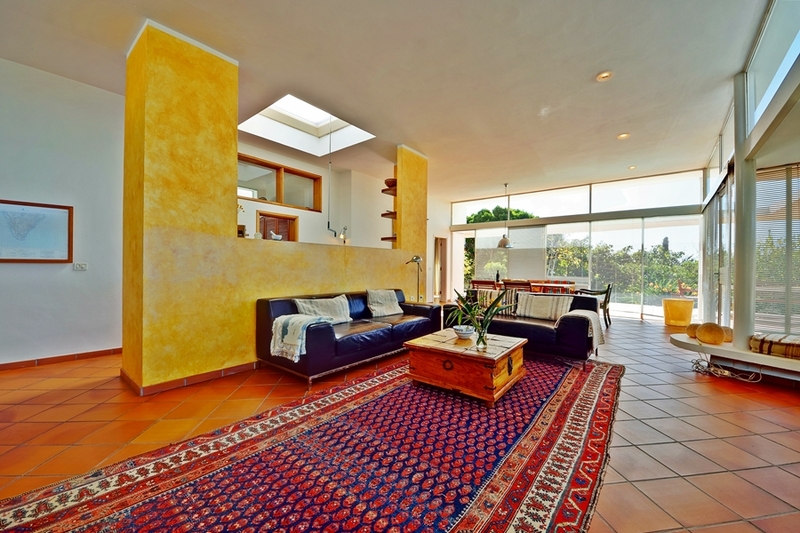 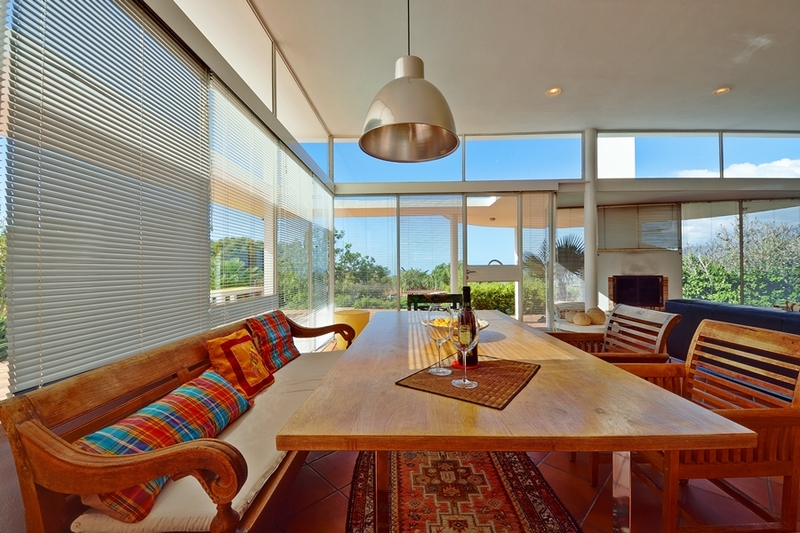 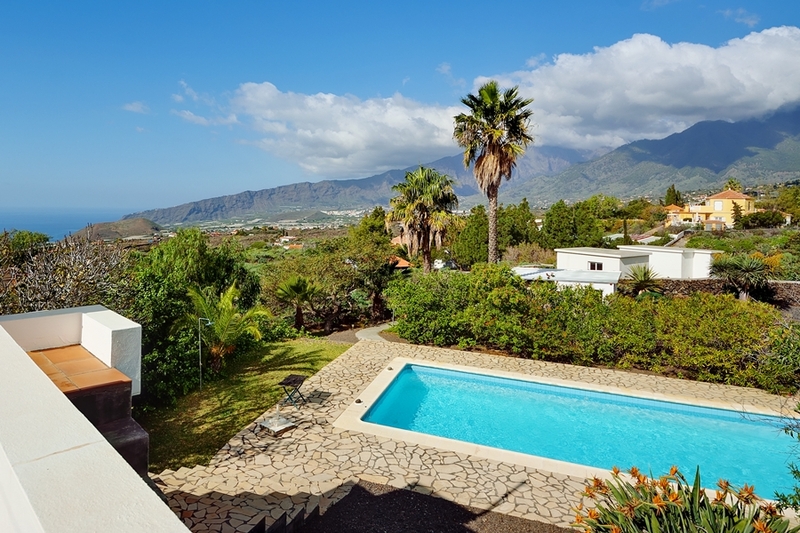 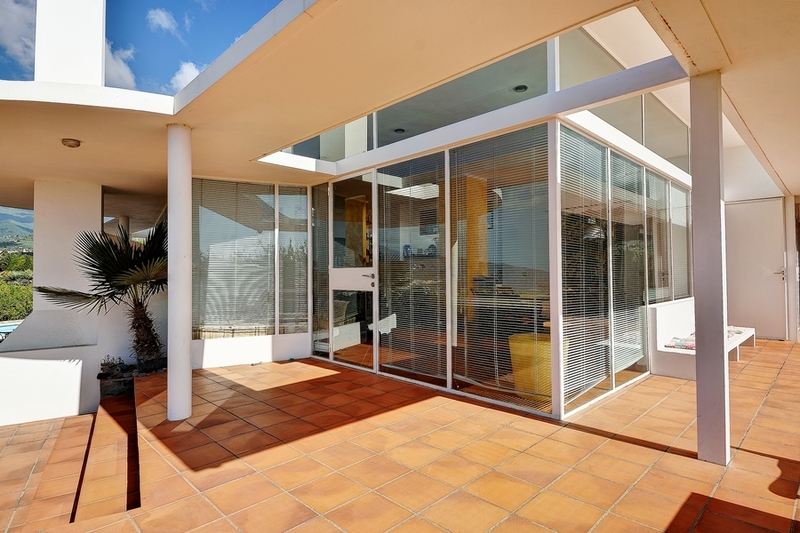 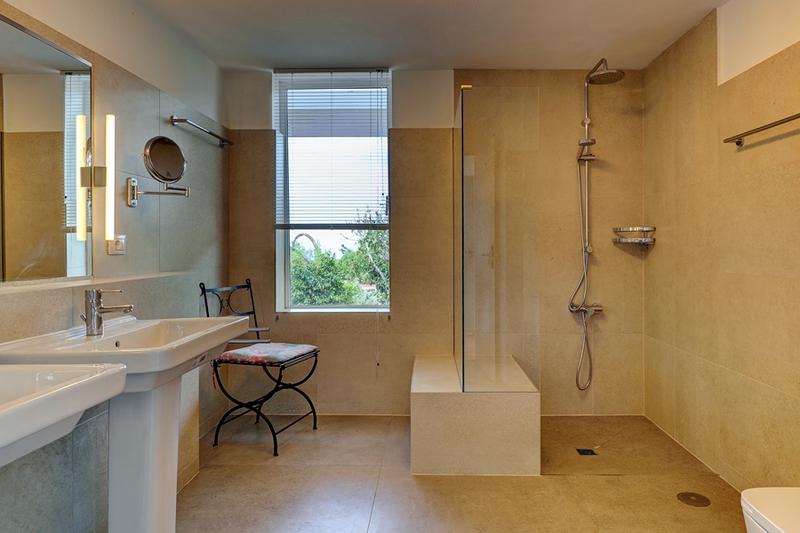 Casa Cristal is a large, modern, sophisticated holiday home for anyone with high standards. 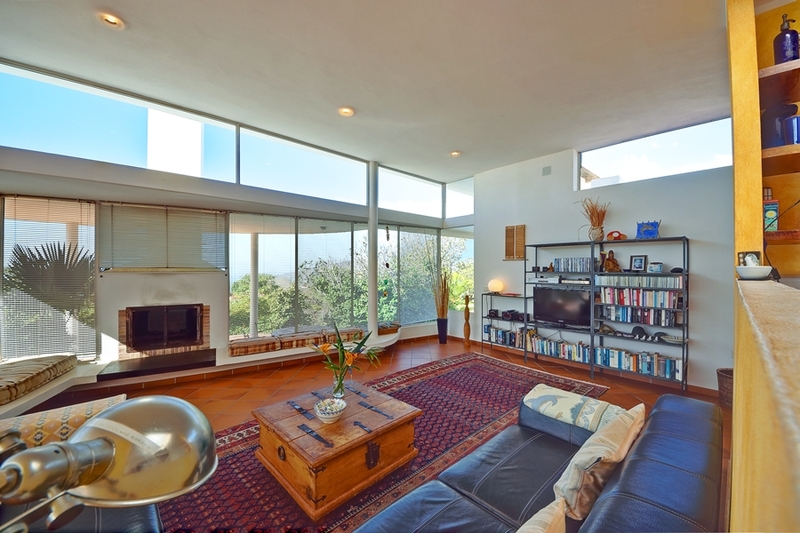 The living area has a glass front, which gives a view of the ocean. 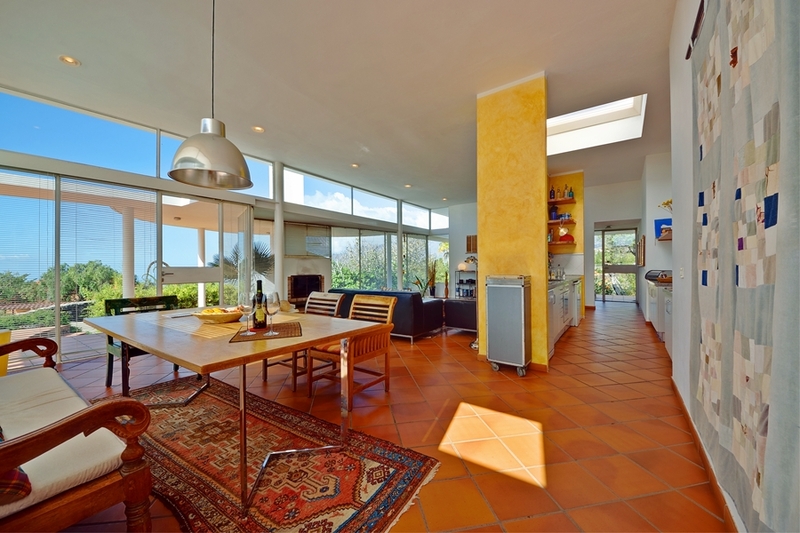 It offers a tasteful lounge area with leather furniture, a large dining room table, a fireplace, and a well-equipped open kitchen which is separated from the living room by a wall. 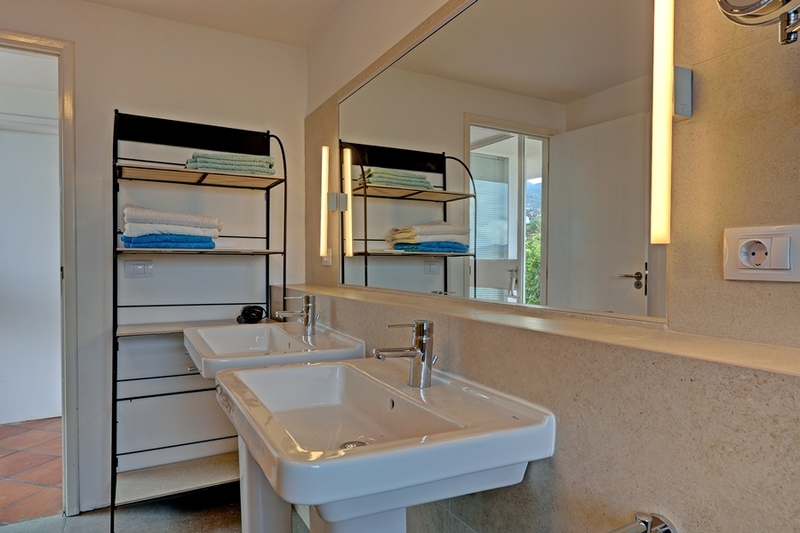 This holiday home has 2 spacious bedrooms and a beautiful bathroom. 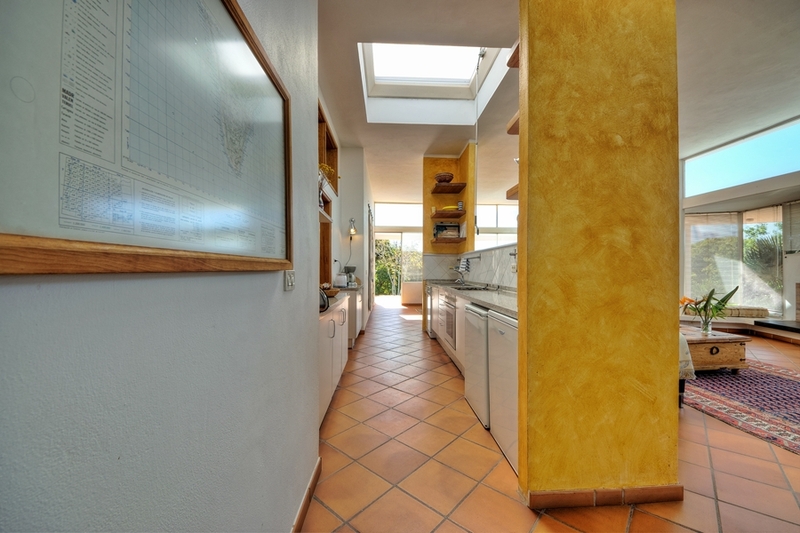 There is a spare room behind the kitchen, which could fit an extra (children’s) bed. 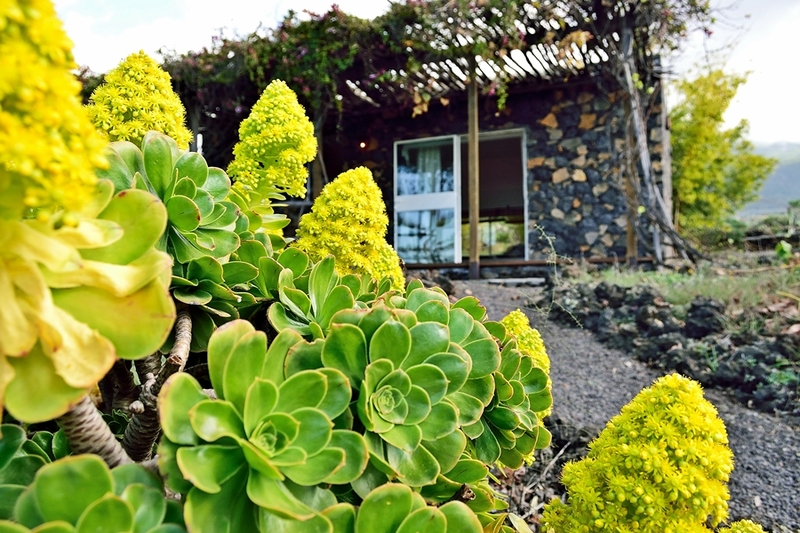 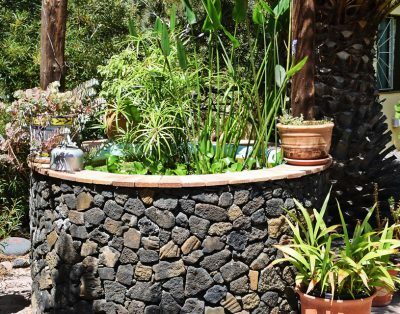 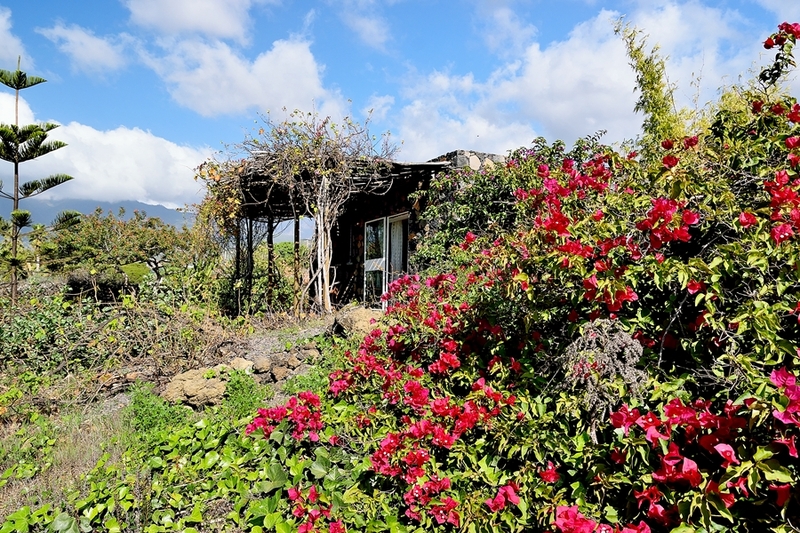 If you wish to bring a 5th or 6th person, there is a separate, small and cosy holiday home with living / sleeping area, a kitchen and a bathroom with lavatory and shower, situated 30 meters from the main house. 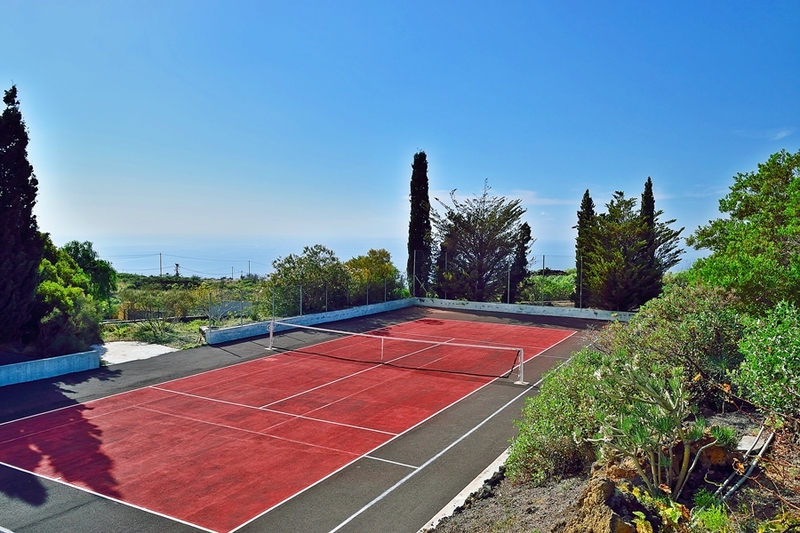 This beautiful holiday home also has a tennis court, a lovely sauna and, of course, a swimming pool. 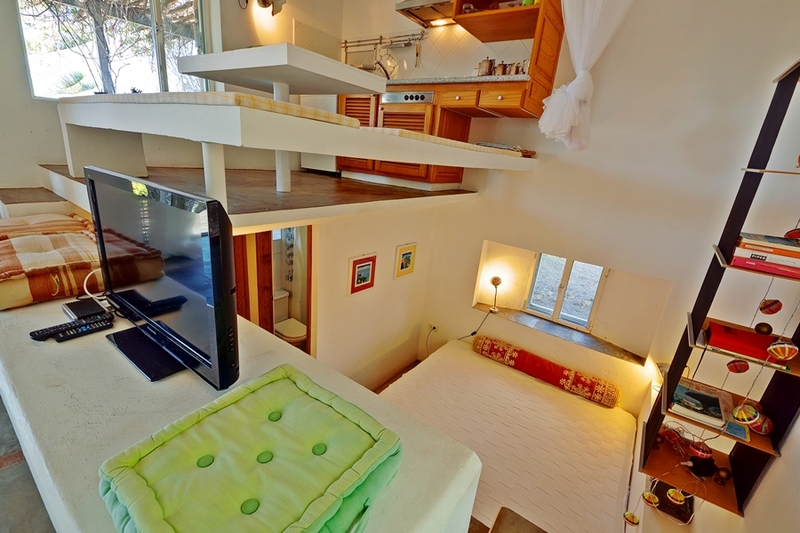 Top quality. 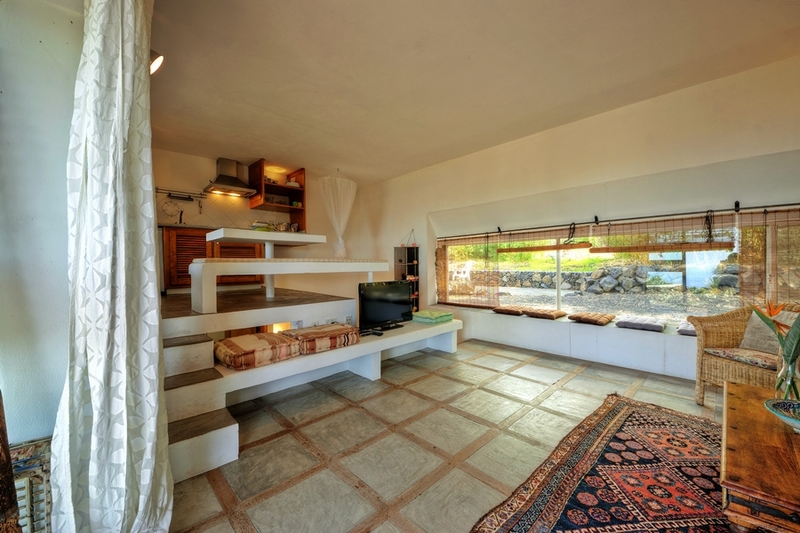 Due to the clever building structure, each room offers a beautiful view of the mountains. 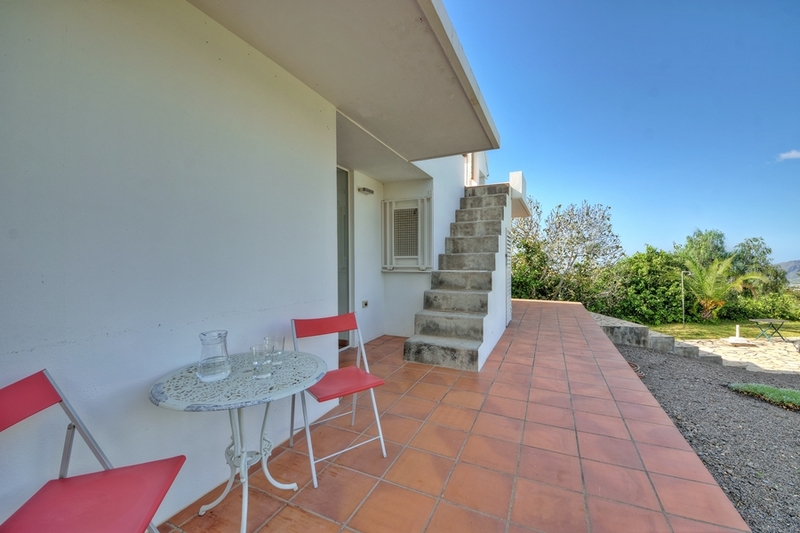 The roof terrace offers a view of the Atlantic Ocean. 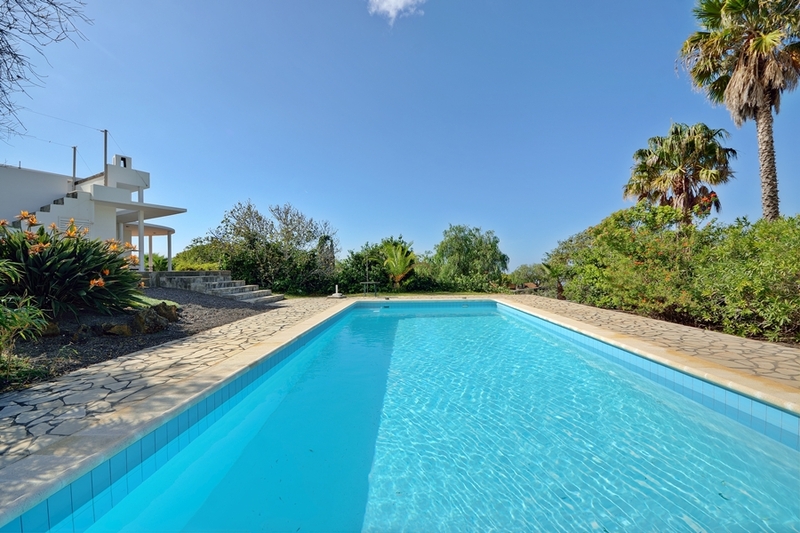 Casa Cristal comes with a large swimming pool, large terraces, a barbecue area by the pool, a sauna and a tennis court. 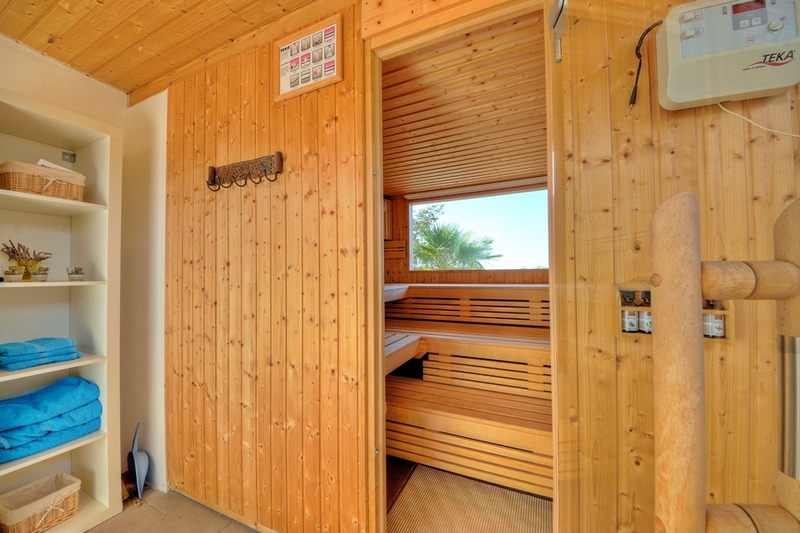 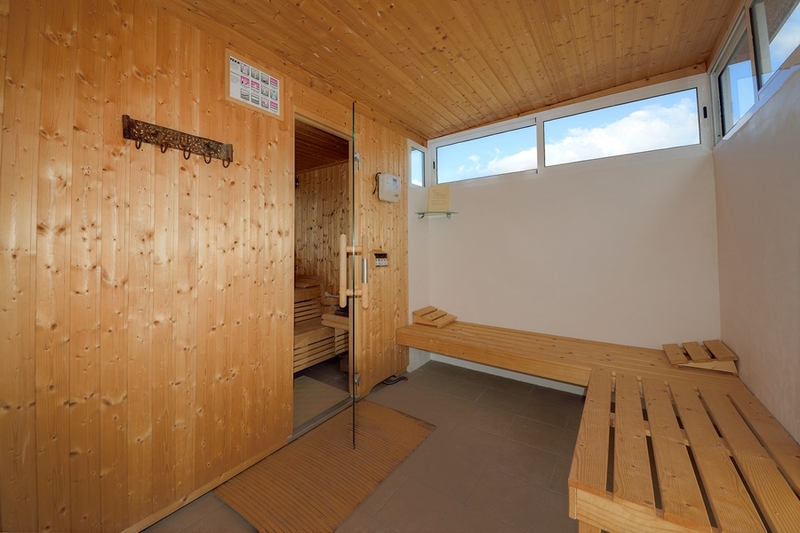 For € 70,- per week you can use the outdoor sauna! 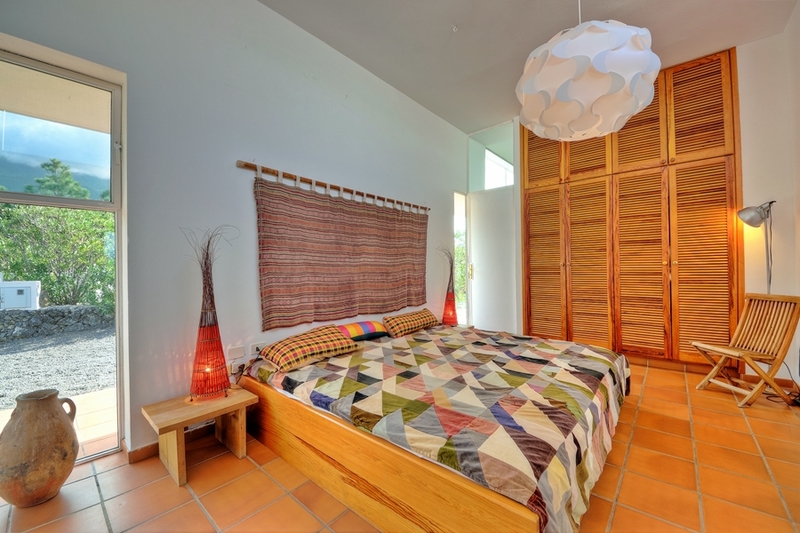 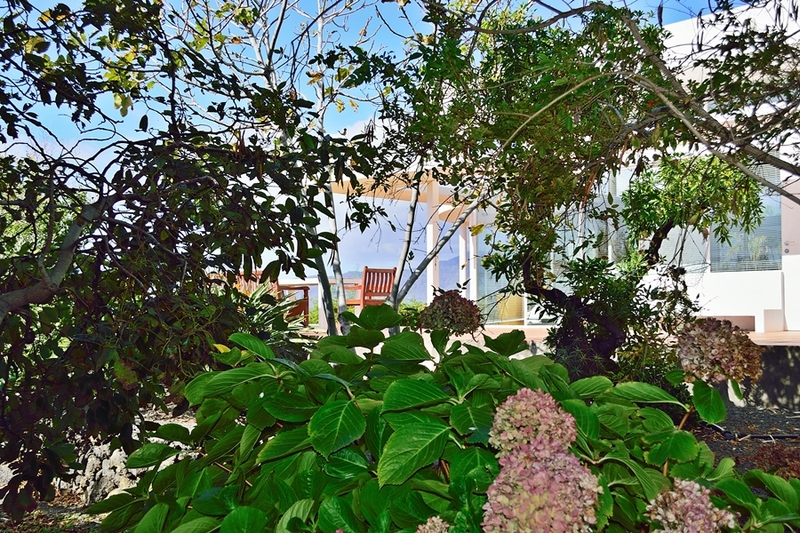 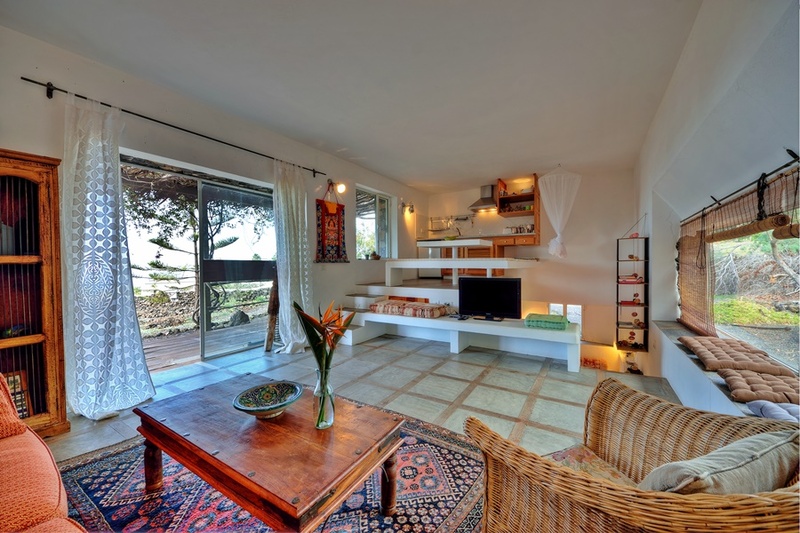 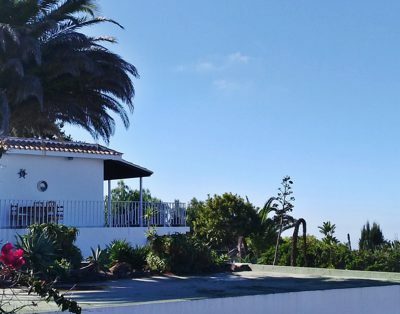 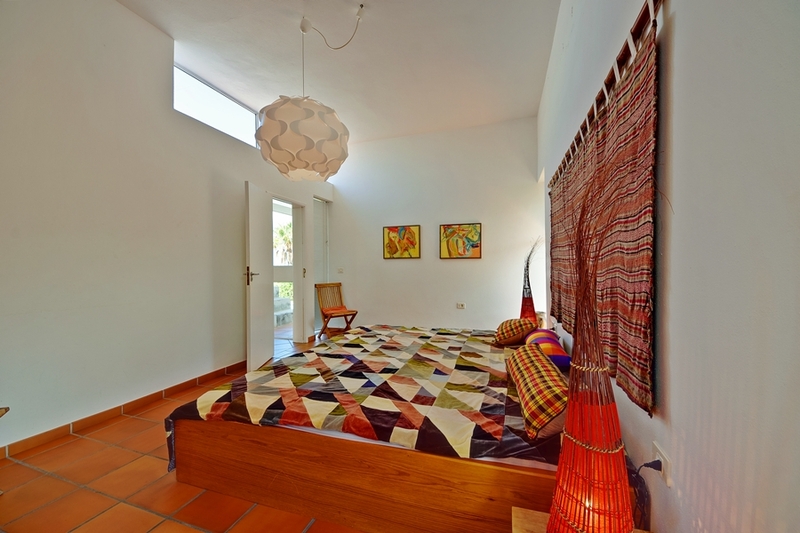 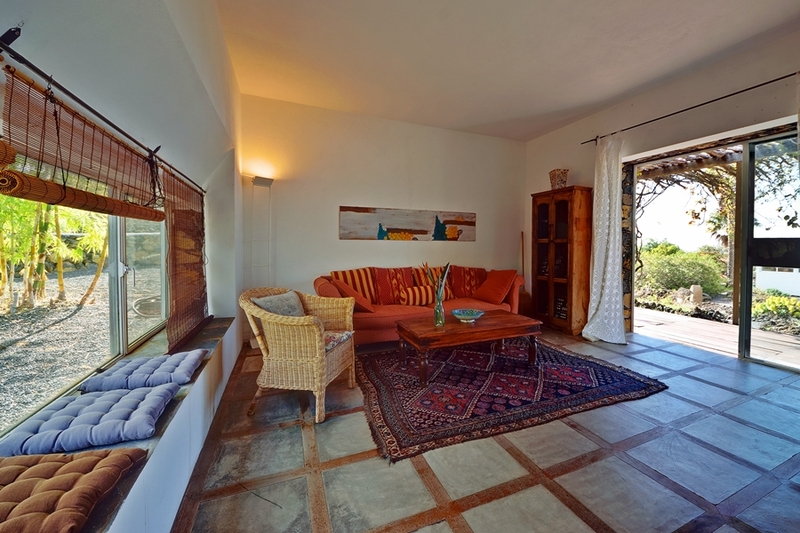 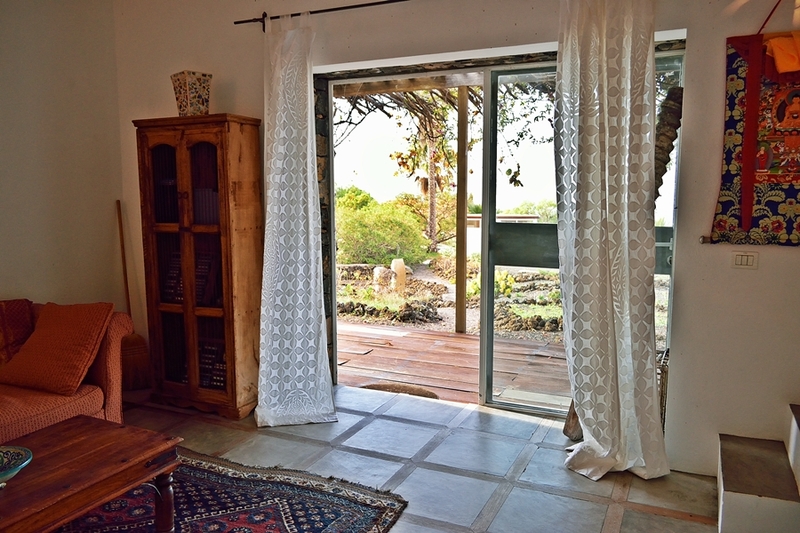 Casa Cristal is located in a quiet area above Todoque, about 400 meters high. 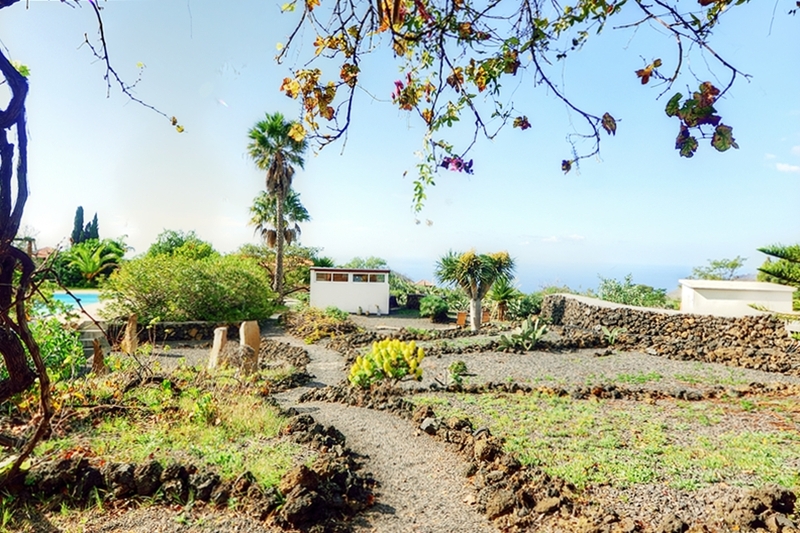 In Todoque there are 2 restaurants, a small shop, a pharmacy and a small church, in walking distance. 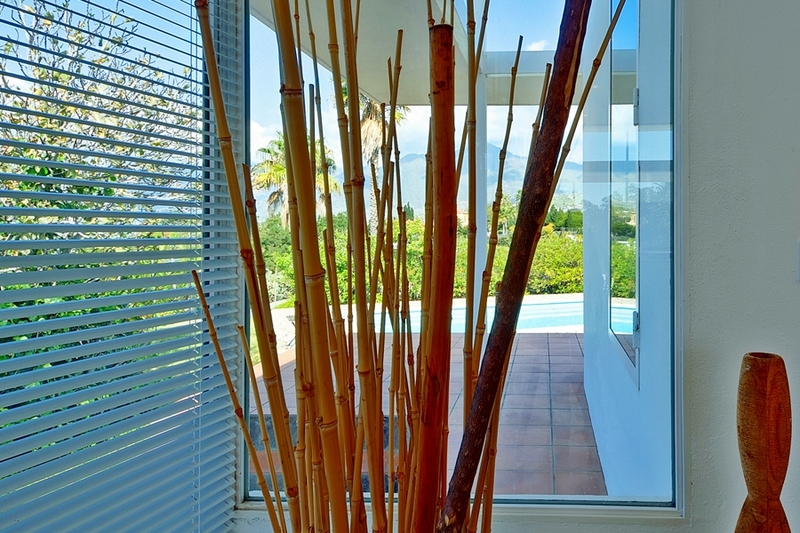 For bigger shops you can go to Los Llanos or El Paso, 10 minutes’ drive. 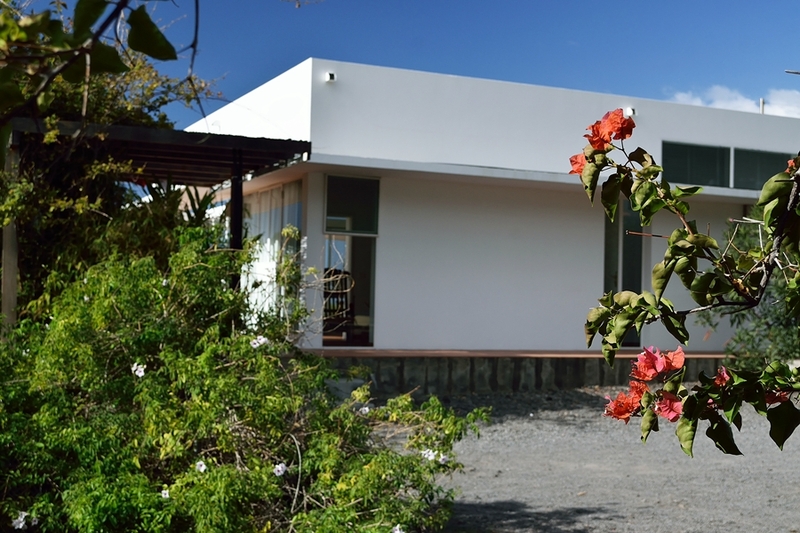 For the beach and other shops you can also go to Puerto Naos, 10 minutes’ drive. 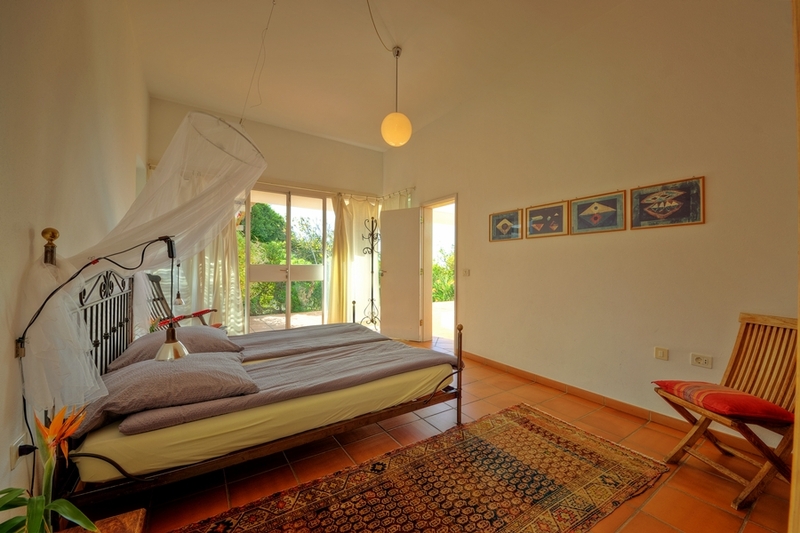 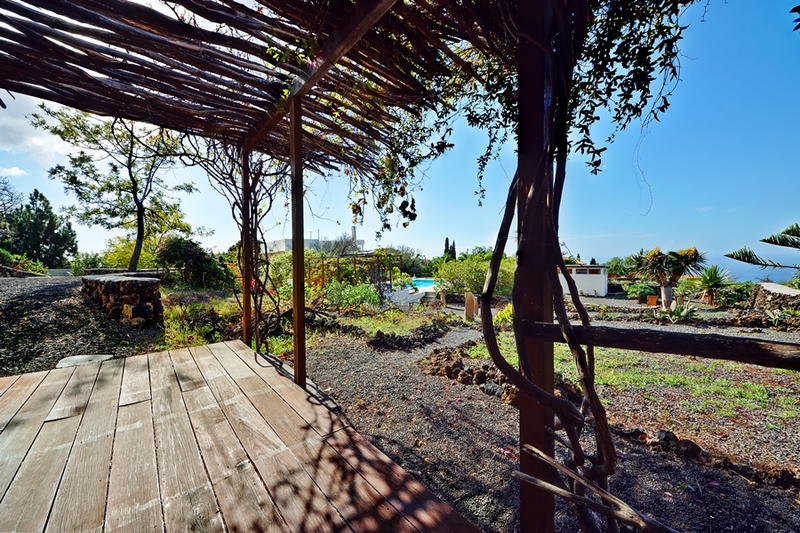 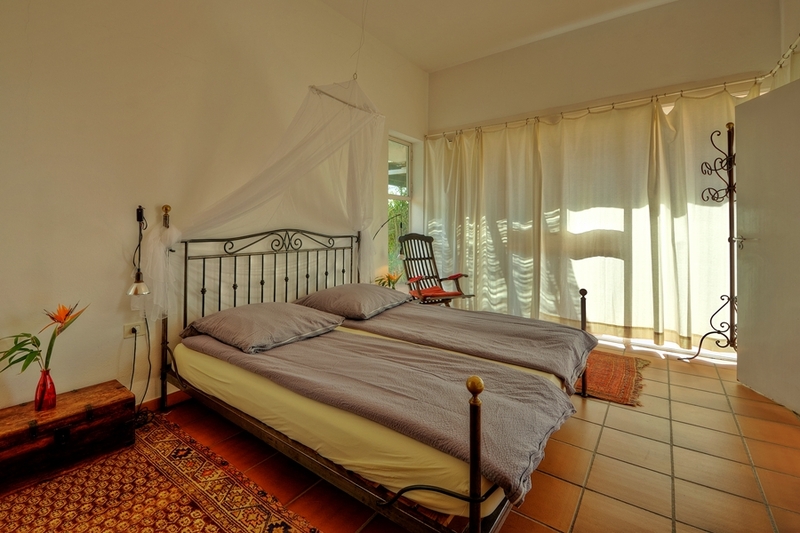 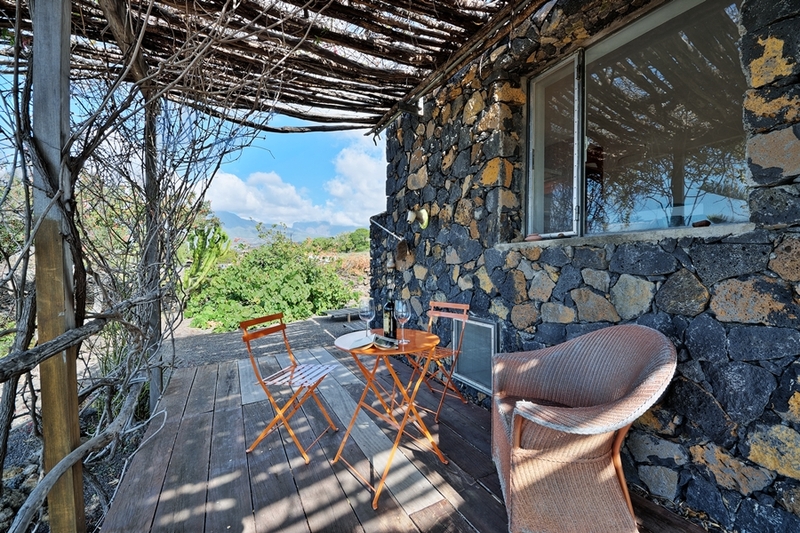 If there are 3 or 4 guests but you want to rent the small house as well then the price per day is € 195!